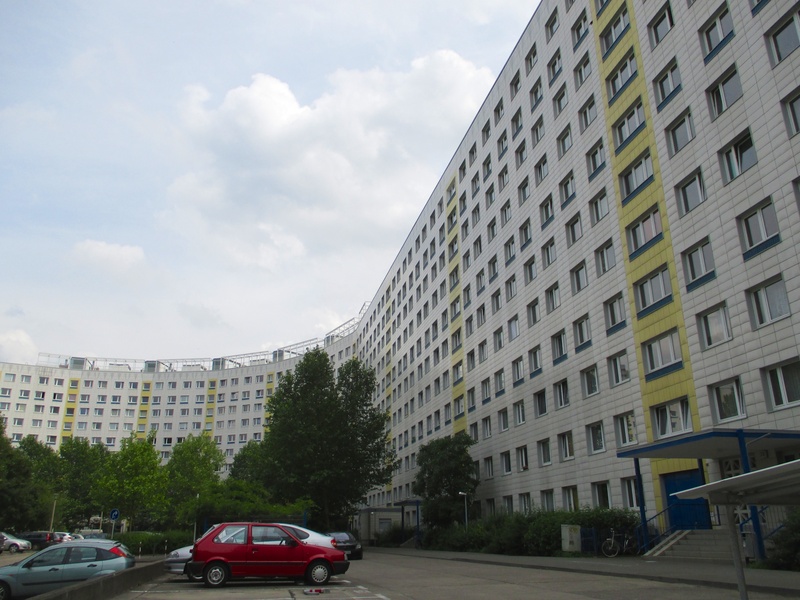 Good Bye Leninplatz – first visit to a Plattenbau! Many Berlin-based expats share a love for GDR history and architecture. 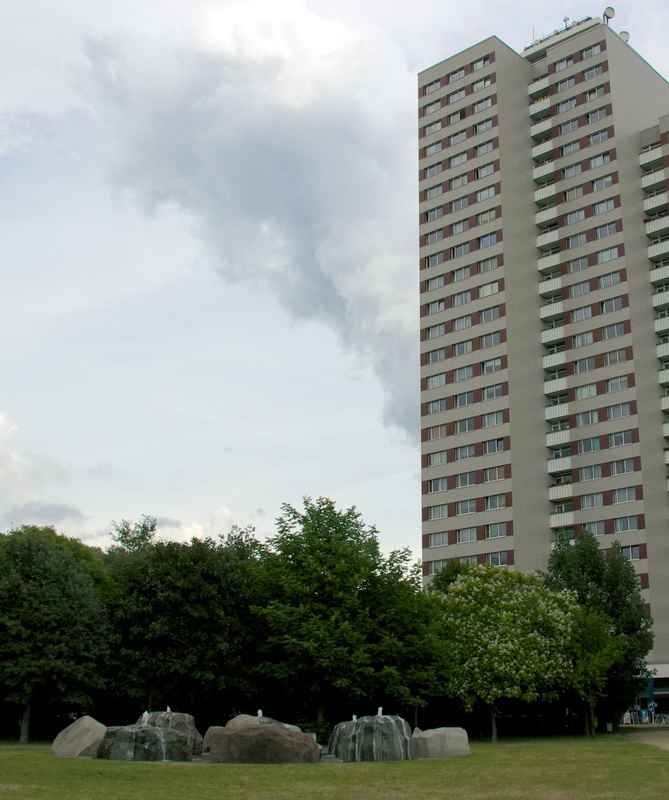 And GDR architecture doesn’t come more in-your-face than Plattenbau – the prefab tower blocks that grace the edges (and often also the city centres) of many East German and other Eastern Europe towns. When my 6-year old’s playmate Lukas needed a ride home to ‘Platz der Vereinten Nationen’ (United Nations Square) in East Berlin, not far from Alexanderplatz, Ijumped at the chance to visit a Plattenbau – the word literally means ‘panel construction’. As an expat who has ended up in scenic Mitte, I don’t meet that many people who live in Plattenbau buildings, as the apartments are mostly rented by people with East-German roots who don’t really mix with the professional/expat/creative crowd. So here was my opportunity. 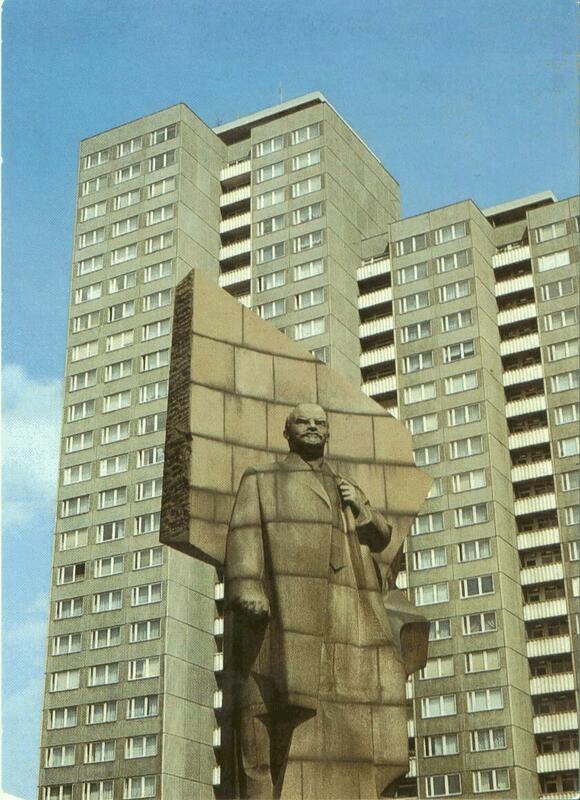 The current Platz der Vereinten Nationen (United Nations Square) started life around 1970 as Leninplatz – so, to honour the great revolutionary, this particular GDR project received a bit more thought than, let’s say, some of the rows of high-rises on the outskirts in Marzahn. 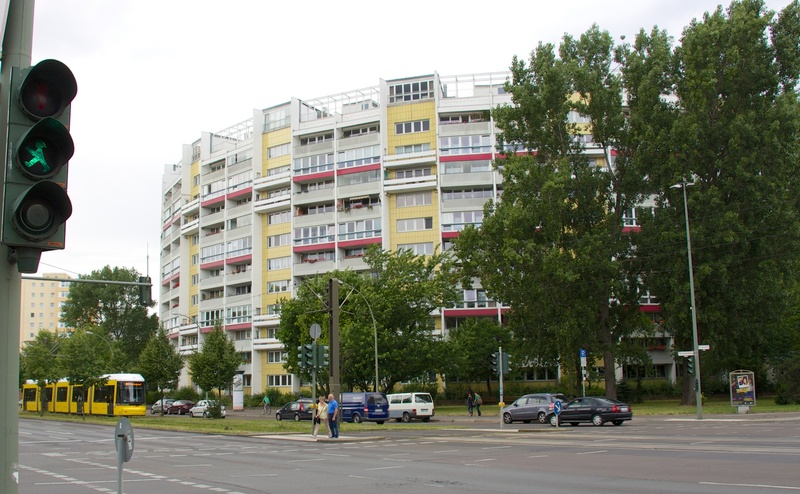 Although all flats in this project are of the standard P2 and WBS70 types (trust the GDR to give innocent tower blocks military-sounding names), this was the first Plattenbau to be built in a curve. The builders developed special trapezoid prefab elements to be able to bend the building, meaning some lucky tenants have living rooms with five corners. First impression: the outside of these very centrally located East Berlin apartments looks pretty ok – lots of space around the buildings, they seem to be in a good state of repair, some colourful detailing – I know social housing and council estates in the Netherlands and the UK that look worse. The entrance portals, and indeed the flats and the square itself, are protected as city landmarks. The square, a busy traffic junction, used to have an enormous Lenin monument, but it’s too late to protect that now. Removed in 1991, it gave the 2003 feel good blockbuster “Good Bye Lenin!” its name – in the movie, the monument can be seen dangling from a helicopter as it is taken down. This was poetic licence, as the actual statue was made of granite, and no helicopter on earth would have been able to lift it! All that’s left at the site of the monument today is a fountain, which somehow doesn’t fill the void left by Vladimir Ilyich. But back to the Plattenbau – my visit was to the building in the northwestern corner of the square, the ‘Schlange’, or snake – because of its curved shape, of course. 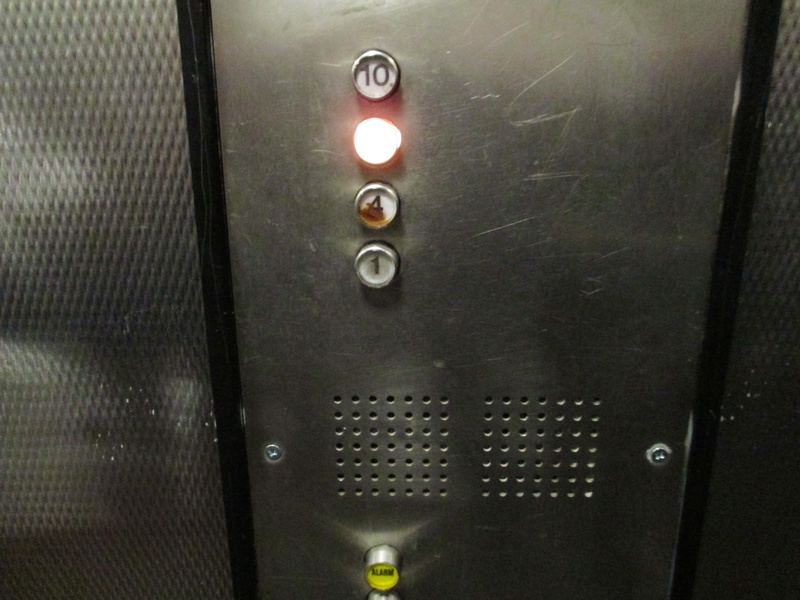 Although 11 storeys high, the lifts in these buildings only stop at the 1st, 4th, 7th and 10th floors. It’s almost as if the Politburo begrudged their comrades lifts that actually took them to their front doors, but from a planning point of view it makes perfect sense: Lukas’ parents’ apartment, which is on the 6th floor, has an additional bedroom thanks to the fact that there is no hallway and corridor for the lift taking up space on their floor. Their upstairs neighbour, who doesn’t have to climb the stairs to get to the lift, in fact has two bedrooms less to pay for it. Inside the apartment, it’s not that bad – again, a bit like western Europe 1960s/1970s social housing projects. I did find the ceilings a bit low, and the rooms are cramped (the apartments are made up of 6x6m squares to fit in the prefab structure). But it’s nothing that some clever decorating and furnishing can’t fix. 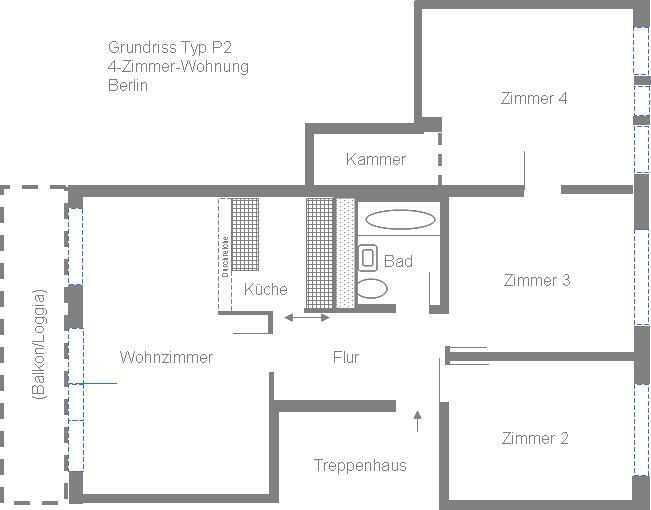 For privacy reasons, I won’t show you pictures of Lukas’ apartment, but the good news is that the Plattenbau apartment recreated at Berlin’s DDR Museum is also a P2 – so if you’ve seen that, you’ll know what it’s like. 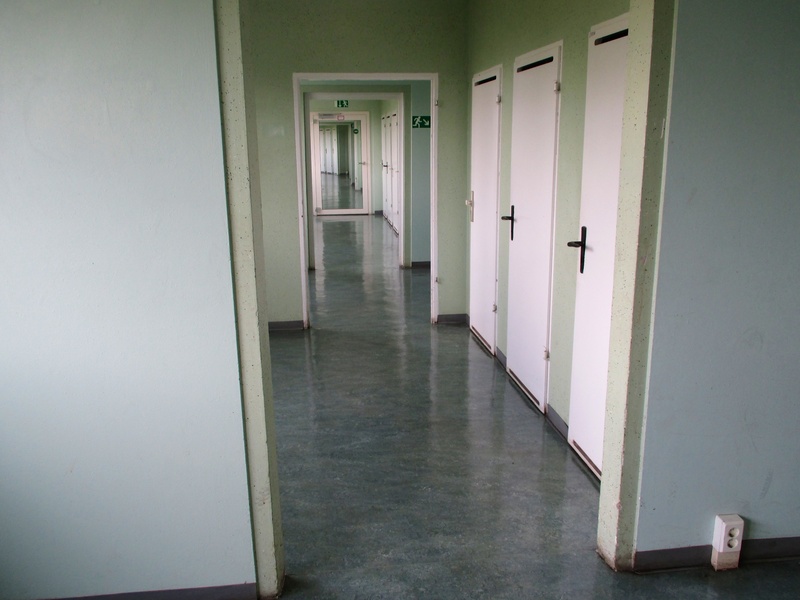 Everything in Plattenbau design was aimed at efficiency – as we’ve seen with the lifts, not always leading to the most pleasant solutions for the tenants. The best example is the kitchen. For ease of construction, it’s good to have the kitchen and bathroom back to back, because it allows for sharing water pipes, drains and ventilation. And this is how they’re built – kitchens and bathrooms are next to each other, in the centre of the apartment. But this means that in the original layout, the kitchens only received indirect daylight, if any – through a gap in the wall dividing it from the living room. In most P2 apartments, the wall between kitchen and living room has now been removed, at the cost of a lot of cupboard space. Can’t see your cake and eat it, then. Summing up, then, I was happy to see that Plattenbau apartments are not as terrible as they are sometimes made out to be. They’re small, yes, but they’re cheap to rent, and they’re not much worse than 1960s/1970s social housing in the UK, Netherlands, France or indeed ex-West-Germany. What you can hold against them is that the drive for efficiency sometimes went too far: the kitchens without daylight, the floors without lifts, and, let’s face it, the sheer ugliness of most of them. On the plus side, Lukas’ parents told me there’s a real sense of community in the Plattenbaus, with children sometimes settling only a few blocks, or even a few floors , away from their parents. 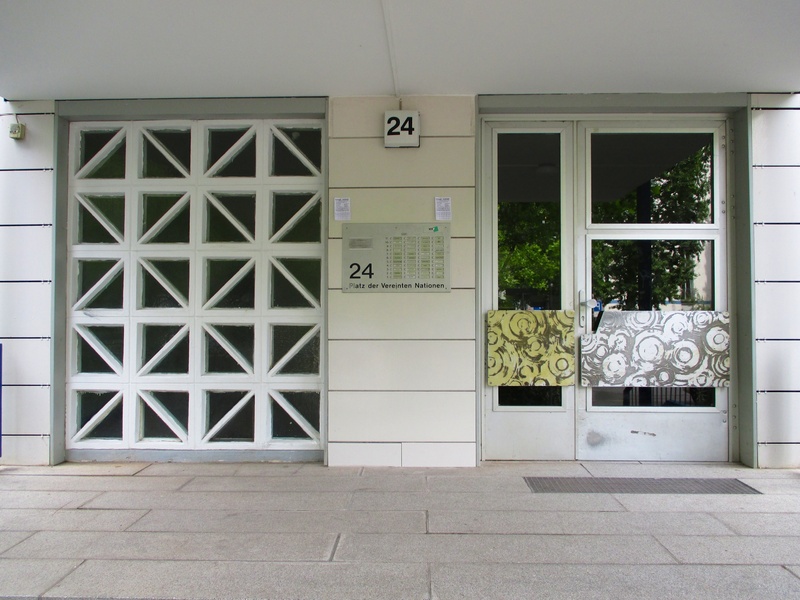 And, in the case of ex-Leninplatz, in the centre of East Berlin, the location is perfect.